Experts call the 2017 Chevrolet Trax “an affordable runabout that’s easy to drive, easy to park and offers up-to-date technology.” Naperville, IL drivers will agree thanks to the available smartphone integration, 4G hotspot availability, available AWD, and sporty design. Explore our Chevy Trax inventory and see why we think it deserves a second – or third – look, and then read on to learn all about the benefits you get when you shop at Chevrolet of Naperville for your automotive needs. 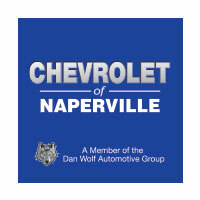 At Naperville Chevrolet, you’ll find one of the largest inventories of 2017 Chevy Trax LT crossover SUVs for sale in Naperville, and the information you need to make your purchase affordable. Browse our site or talk to one of our associates to learn about the special offers, including rebates and incentives, designed to shave hundreds off the cost of your new car purchase. You can even use the tools on our website to calculate your payment or apply for financing before you come in, so you know how much you can afford to spend. So, go ahead and browse, we don’t mind. When you’ve decided on the Trax that suits your busy lifestyle, we’ll be here to help you buy and maintain it with special prices on the parts and service you need to keep it in top form for years. Contact us today to learn more or get started.